I’ve said many times that Cathy Lamb is my favorite author, and there’s a reason. It’s because she seems to get people. She gets women and their relationships with each other and with the men in their lives. Her novels always include strong women and quirky friendships; and even stronger men who aren’t afraid to let the women in their lives exert their independence and be strong, understanding that strong doesn’t diminish femininity. Simply stated, Cathy Lamb is a master of the Women’s Fiction genre. 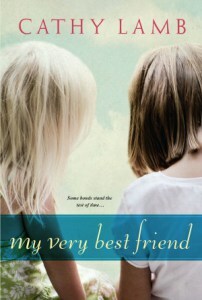 Cathy’s newest novel, My Very Best Friend is no exception. It’s a beautiful story of first friendships and first loves. Sometimes, as well as you think you know someone, you don’t know their story at all. Anyone who knows even the tiniest thing about me knows that Harper Lee’s To Kill a Mockingbird is, in my opinion, the best book ever written. In too many ways to even try counting, the themes contained within its pages have shaped me into the person I am today. The idea of “walking around in someone else’s skin” before passing judgement, as advised by the character Atticus Finch, is perhaps the most important theme of the book and is one that I carry with me every single day. It’ll come as no surprise, then, that I was beyond excited to hear that Lee would be releasing a second book, this one not so much a sequel to the original; but, rather, her original intent for the manuscript. I was giddy with excitement. Marty Wingate is an American writer and speaker of gardening and travel. She has an MS in Urban Horticulture, and knows her plants. She contributes to Country Gardens and other magazines. 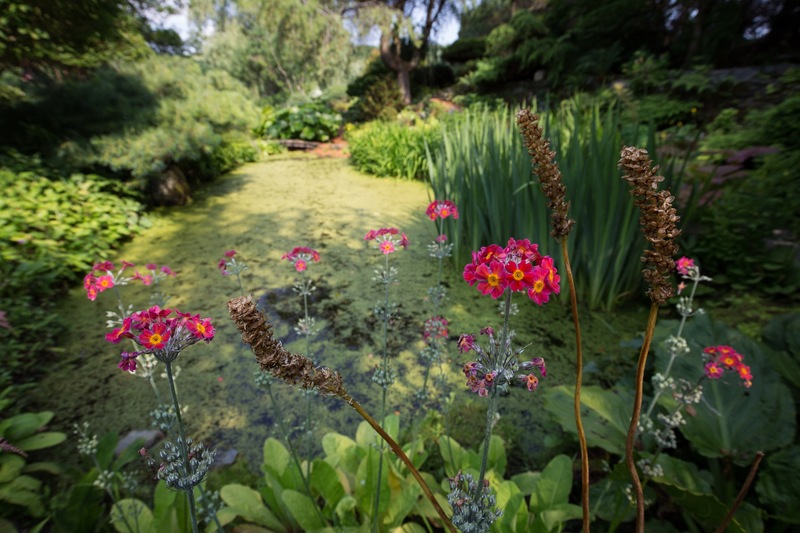 This year her garden tour went to the Lake District and York, England. Her book research took her to the Suffolk village of Long Meadow. She resides in Seattle and has a weekly local NPR slot. Wingate has several cozy series, the first concentrate on English gardening: The Potting Shed Mysteries. (The third installment Between a Rock and a Hard Place will be published next month and reviewed here soon). Rhyme of the Magpie will begin The Birds of A Feather series. Julia Lancaster was a personal assistant and associate producer for her father’s award winning BBC birding programme. But with his quick remarriage following the unexpected death of her mother, Julia quits her job to make a fresh start as a tourist manager for a local estate in the quaint village of Smeaton-under-Lyme. Her job is to build the estate and town into a destination spot. As a thirty something, divorcee (her ex is the birdman of St Kilda), she acts rather childish, immature and scattered, although we all deal with family death differently. But she is loyal and when her father goes missing (a not uncommon practice) she attempts to find him, stumbling upon a body instead. Unfortunately the body is near her father’s birding cottage, he is nowhere to be found and the body is someone he has been known to have clashed with publicly. She investigates his disappearance with the help of his new assistant (her replacement) Martin Sedgewick, who provides a steady hand and romantic interest. He is of course handsome, charming, intelligent, but too smooth (with secrets). Julia (aka Jools) learns to be more accepting, make fewer rash, impulsive decisions and become less egocentric. I like that her sister Bianca had a completely different take /view of their childhood. I like the normal village politics too. There are timely themes of tourism and estates, environmentalism and habitat destruction, family bonds. This is an entertaining mystery, with plot twists, lovely characters, well placed clues and a satisfying, dramatic ending. And lots of tea. You will be reaching for tea and biscuits as you read this, so be prepared. Empty Nest is due in December and I shall look forward to continuing this engaging series. Opening line: Four magpies in their black and white jester outfits strutted about on the pavement when I stepped out of my cottage. ….. I had told my sister that magpies were an early warning system, and she had told me to shut it. The cottage was small, but I had distilled my life into its essence and needed little. I felt a dull ache start up in my chest as I sensed my old life as a foxhound and me up a tree. Lord Fotheringill wore impeccable tweeds and had a neatly trimmed mustache and black hair with a touch of grey at the temples, although some weeks that grey was more noticeable than others. Some things are best left to fester in the dark. Since retiring from a law career in Scotland, Ian Simpson has been writing traditional police procedurals. As a judge in Scotland’s High Court on murder trials, he is well qualified to write crime fiction, and obviously enjoys doing so. His descriptive writing style is entertaining and laced with humor. His characters are well drawn and distinctive, so don’t be worried when you see the daunting three page list. I reviewed the previous book Murder on the Second Tee and also recommended his first, Murder on Page One. His work was shortlisted for Debut Dagger. The intersecting lives of DI (ex) Osborne, DI Flick Fortune and Constable Bagawath (Baggo) Chandavarkar continue with interesting character development over these novels. Read in order if you can, and note that Kindle has the first two on sale $1.49! As usual, the story is told from several points of view as we progress with the various leads and intersecting cases. A high profile real estate fraud trial, with 4.5 million pound sterling missing and a non existent golf course, now in its fourth week, should be wrapping up. DI Fortune is the senior investigating officer, and has only two weeks left before maternity leave will change her life. But the body of one Farquhar Knox QC complicates the proceedings. Baggo remains ambitious, DI(ex) No remains politically incorrect, although improving slightly, realistically, and Flick and her husband DI Fergus Maxwell, shine. And the dialogue and locale gave me a quick trip to Edinburgh. Simpson writes a clever page-turner on legal matters in Scotland. This was a fast, delightful read, perfect for summer days and armchair travel. I shall look forward to more (this series or new) by this author. …his own day of judgement has arrived. It’s the talk of the steamie, as we say. (Flick as)… a rugby fan, this conversation made her feel like a full-back waiting to catch a high ball with the opposing scrum thundering towards her. He had discovered that a shoulder of lamb, slowly roasted at a low heat, required the same cooking time as he took for a round of golf and a pint, so was perfect for a Sunday morning. There were more than 400 people who, in theory, might have killed Knox. You are in a very deep hole yet you continue to dig. Note:The British Library is republishing many of their Classic Crime and Spy novels, with the Poisoned Pen Press responsible for the U.S. editions. There will be twelve published this year and 2016. They will be available in trade paperback and Ebook. Many of these books have been out of print or difficult to find. Some of these Golden Age Crime writers are perhaps unknown to the American audience. Each book features stunning cover art pertinent to the era (20/30s Britain). Of note, Martin Edwards provided guidance for this project as the archivist for CWA (and for Detection Club). Two books feature short fiction edited by Edwards. I have always valued the Poisoned Pen’s collection of mysteries for providing excellent reading experiences; there are over 700 titles. I am looking forward to the reissue of all the British Library Crime Classic novels. I read the following as ARCs from Netgalley, and wish to thank both publishers for bringing these works to light. Author: Charles Kingston (O’Mahoney) wrote 25 mystery novels between 1921 and 1945: Stolen Virtue (1921), many London settings (Poison in Kensington [read Dorothy Sayers review!] and The Highgate Mystery) to his last book Fear Followed On (1945). His prose is sparse with quite dry (black) humour, which might not translate well to the American audience, or this era. But they are quite atmospheric and generally easy reads. This story introduced Chief Insp Wake, a rather grizzled, methodical, dour individual. There are seven in this series. The unsavory cast of English eccentrics made this difficult for me to appreciate as well as dated prose and London accents. This is a drawing room mystery exposing the seedy side of London (Soho nightclubs) with a jaundiced, cynical police force, “minor Bohemian” characters and an aristocratic bourgeois without principles. In the end I didn’t have much sympathy for either the idle rich or the murdered miser. It was hard to like characters that Kingston describes in such unflattering terms, with vices/ human traits. The first half sets the stage/scene with character descriptions/details which provide motive. There are fantastic details of the era, with a nice twist in the mystery solution. This is an interesting, realistic/historical look at London of the 1930s. …falling is love is like falling downstairs- you don’t mean to do either. It was the crime of the year, something peculiar to London. How often had Bobbie grumblingly adverted to the fact that everyday his uncle lived he, the misunderstood heir, lost a day’s income. What’s the use mother, when I’ll have ten thousand a year when Massey dies of overeating? 2) Title: Capitol Crimes edited by Martin Edwards 343 pp. Martin Edwards has published 16 crime novels and 50 short stories. He is also the archivist for the Crime Writers’ Association as well as the Detection Club. He is a consultant to the British library in their reissuing of the crime writers of the golden era and as such, selected 17 short stories, set in London. They have been arranged in chronological order from 1893 Case of the Lady Sannox (Sir Arthur Conan Doyle) to 1946 You Can’t Hang Twice (Anthony Gilbert). This also illustrates the gradual transition from amateur detective to police procedural. You will find some interesting reads: Campion by Margery Allingham in the Unseen Door, Stealer of Marble by Edgar Wallace, or The Hands of Mr Ottermole by Thomas Burke. I found this edition to be more of a hodgepodge of less readable work, certainly not their best work. Some haven’t stood the hands of time, feeling very dated (manners, class), ‘vintage prose’ even! But as an introduction to their body of work, you might discover a new author. This collection of 14 short stories is again presented in chronological published order (1910-1953). These are not action dramas but puzzles and will provide lovely armchair travel to Europe (UK, Switzerland, France). As a themed anthology it is more diverse than expected, given the authors and time period. Several feature well known detectives/sleuths: Conan Doyle’s Sherlock Holmes is present in The Adventure of Devil’s Foot, and his brother in law E.W. Hornung’s Dr John Dollar in A Schoolmaster Abroad, and H.C. Bailey’s The Hazel Ice has Mr Fortune, surely the precursor to Lord Peter Wimsey. I simply loved Helen Simpson’s humorous A Posteriori and Basil Thompson’s The Vanishing of Mrs Fraser. I wrote notes about twelve of the stories!